designvagabond: woodgrain housewares by alice supply co.
woodgrain housewares by alice supply co.
Firstly, is anyone else totally STOKED that the Ikea Lack line now comes in walnut finish?! 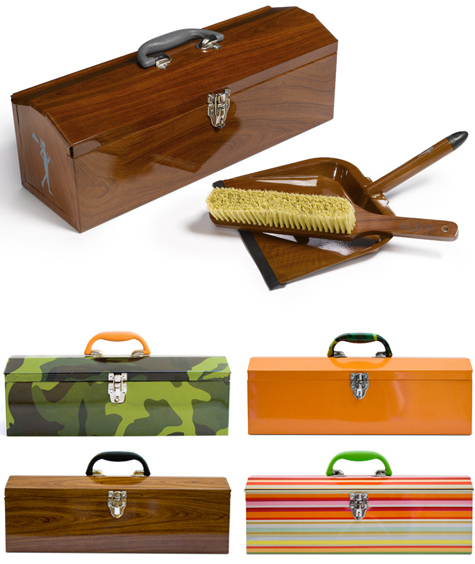 Along those lines, I stumbled upon this awesome set of housewares products by Alice Supply Co. over at Delight today, including a woodgrain toolbox, dust pan and dust brush! They boast a collection of hip housewares supplies; buckets, toolboxes, dustpans, brooms and plungers that all complement each other.